The “Internet of Things” is a phrase which gets thrown around a lot – mostly as a catch-all term for the next phase of internet-enabled devices. 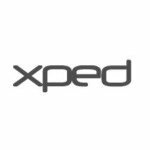 In short, it describes a concept where all objects are connected – and Xped Limited (ASX:XPE) wants in on the deal by designing some of the novel architecture around it. XPE’s key asset is its Device Connection software, which via simple Tap ’n Go methods allows almost any product to be connected to the Internet. This is a product with global applications across all kinds of market segments. 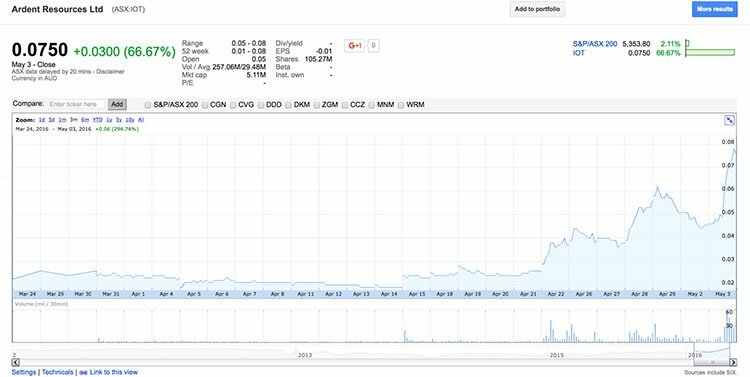 We first wrote about XPE in the lead up to its backdoor listing and since then the company finalised its capital raising and re-compliance to the ASX; and began its early-stage tech play life where it tries to execute proof-of-concept deals and explore new markets. In its latest deal XPE has joined with Telink Semiconductor (Shanghai) to develop a new series of semi-conductor or IC chips with the integration of XPE’s ADRC technology. Telink produces one of the lowest cost IoT chips in the world, making IoT implementation into devices highly affordable. The partnership will see both companies working together to market their respective products and technologies, whilst attempting to build a world-class IoT chip. The move comes on the back of XPE’s ADRC technology (more on that later) becoming available on the Intel IoT Gateway , giving Intel customers access to all the benefits ADRC technology provides. We should mention that this is an early-stage tech play and comes with all the risks inherent with that – caution is advised. Since we first took a look at XPE’s prospects in the article ASX Shell gains Leverage to $1TN Internet of Things Market , it has started to put together moves such as the Telink partnership and Intel deal which offer investors an insight into the company it is trying to be. In short, XPE is angling to become an early-stage tech play which actually makes money. Normally a play such as XPE would sign a raft of proof-of-concept MOUs with other early-stage tech plays as they mutually try to prove that their technology works to a sceptical market. The $48.5M capped XPE is still trying to do that, but with a key difference – it is taking direct stakes in the companies it is partnering with. XPE is also trying to set up long-term revenue streams out of its deals rather than playing at the edges and hoping to generate revenue later. In a sense, if it comes off, XPE is locking in revenue into the future. We’ll take you through XPE’s big plays, why the IoT space is so hot right now, and give you the word on why this company is setting itself up as a vital cog in the $4 trillion IoT revolution. Xped Limited (ASX:XPE) is setting itself up as the company behind the one infrastructure to dominate all IoT infrastructure – and then making money by licensing its back-end system to manufacturers of various consumer products. In a nutshell, XPE holds proprietary back-end software which it hopes to license out to hardware manufacturers so they have a way of creating a single point of control for several devices. Think of it as a way of enabling a phone to become a universal remote – which will control everything from the TV, to the air-conditioner, to the fridge. For consumers, it’s a way to avoid having several apps to switch between. It’s like having multiple remote controls for the TV – infuriating. Several companies are already trying to figure out how to have users be able to interact with their products through their phones – and in doing so are finding the experience much more pleasurable than simply using an object. In fact, technology is changing the relationship people have with objects. Take the humble automobile, for example. Once upon a time it was a way to get you to a place. Then it became a place you can listen to music, and then light a cigarette. Now, it’s a place that can tell you how to get somewhere, charge your phone, and play a movie in the back seat. The car has become a connected device – and is increasingly being sold as such. Technology is changing the way we interact with objects, and XPE wants to be at the forefront of that journey. For example, take electricity supply into the home. For years, the most engagement punters have had with their electricity company has been to check the bill for usage every quarter. But what if you could track usage every single day? What if there was a way for your power box to ‘talk’ to your phone – so you could have a look each day to see how much power you consumed that day, and which devices consumed the power. It may inspire you to turn appliances off at the wall rather than hitting the standby button. The power (no pun intended) to do that would be big for consumers, and just imagine being the one electricity retailer which allow consumers to do that. Would that not be a massive functionality selling point? XPE is aiming to allow users and companies to have a relationship with objects they’ve never had before – opening creativity for both user and company. It’s not selling the object, or what users can do with the technology. Instead, it’s selling the bridge which connects people and devices. It’s doing so by selling something known as an ‘ADRC’ (auto discovery remote control) chip. The ADRC refers to the signal which allows the phone and object to interact, and the ADRC is activated for an object when XPE’s chip is installed in an object. Through techno-wizardry the likes of which is well above Next Tech Stock ’s pay grade, the chip enables a bridge over which the user on their phone can control the object. For a TV, this control may include turning it on, for a washing machine it may involve adjusting the water temperature – you get the idea. By investing heavily in the back-end which will allow the ‘Internet of Things’ to flourish, XPE hopes to capture a wide slice of a huge market. XPE’s ability to capture its intended market has recently been given a boost through its partnership with Telink Semiconductor (Shanghai). Telink is angling to become the world’s leading IoT connectivity chip supplier and has been recognised as having the world’s first all in one IoT chip in 2015. Telink has 10 low cost chips in mass production and operates in the USA, Taiwan and China. It also supplies its chips to major companies including GE, who have adopted Telink’s Bluetooth Low Energy (BLE) technology and produce in excess of five million chips a month. Telink achieved revenue of US$15MN in 2015 and expects to triple that by the end of the year, so it is clear that XPE has hitched its technology wagon to a company that is going places. The companies have signed a Joint Collaboration and Marketing Agreement (JCMA) that will see XPE work closely with Telink to market their respective products and technologies – being Telink’s semi-conductors and IC Chips and XPE’s ADRC technology. This fits nicely into XPE’s overall business strategy. Under the agreement the pair will work on porting or adapting the current build of the ADRC technology so that it operates or is able to be used in specific Telink semi-conductors. They will also develop a new series of semi-conductors or IC chips based on, incorporating or embedded with ADRC technology. Telink chairman and CEO Dr Wenjun Sheng believes the partnership will enable Telink to create a global first end-to-end IoT solution. Dr Sheng believes that Xpe’s technology could provide access to new channels and revenue opportunities for both companies, whilst giving customers innovative IoT solutions. 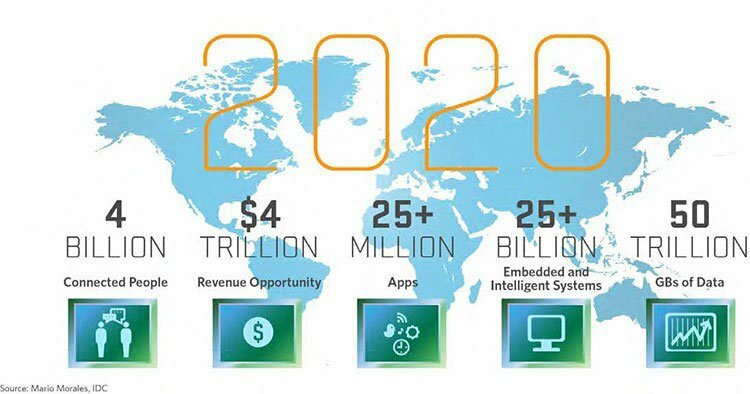 So, what is ‘The Internet of Things’? You’ve probably heard it around the place before and not really understood what it was. In short, the Internet of Things is a concept rather than a particular product. It describes a world where all objects, thanks to the Internet and technology being pursued by the likes of XPE, can in effect ‘talk to each other’. It already happens to a certain extent every day when you hop in the car to go for a drive. You move through several traffic lights, which are all connected to a central point – traffic control. Sometimes the traffic lights are automated, but there are times when the traffic lights need to change independently of what’s been programmed in. For example, there may be an accident at an intersection – and that’s when you’ll usually get flashing amber lights. That’s instigated from a mission control point, by a human, who also adjusts lights along the road to let less traffic through at a time. But, the Internet of Things makes this automatic. What if the traffic lights in a network could effectively ‘talk’ to each other? What if traffic cameras could ‘talk’ to traffic lights? It could be possible for traffic lights to automatically adjust in different traffic conditions. A traffic camera may pick up that there’s been an accident, and automatically send a signal to a traffic light to flash amber rather than waiting for a human at a central point to notice the crash. The traffic lights could then automatically send a signal to other traffic lights in the area – adjusting timings for optimal traffic flow. This is just one example of a solution being opened up by allowing objects to ‘talk’ to each other. In this way, XPE wants to enable a conversation between a consumer’s phone and several objects. People are excited by the possibilities, and some massive numbers are being thrown around the commercial viability of the concept. 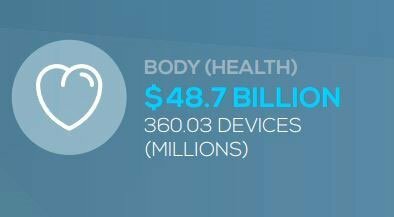 Sure, having the ability to control several objects from your phone is pretty cool for a consumer, but is $4 trillion worth of commercial opportunity going to be unlocked through the Internet of Things? Probably not, and you should avoid investing on such bullish predictions alone – in fact you should always seek independent professional advice before deciding whether or not to invest. People are throwing around these numbers not just because it allows users to control objects from their phones, but because the Internet of Things is a two-way conversation. Before we gave you the example of a person controlling their electricity usage through gaining better insight into usage. Information on an object’s usage doesn’t only flow to the user, but also the manufacturer of said object. 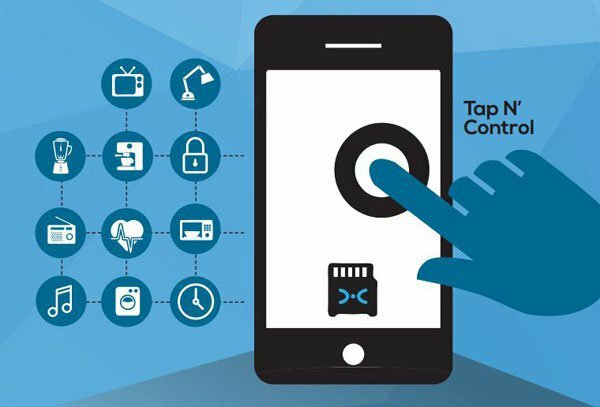 Once the link between consumer and object is created, XPE’s chip will be able to analyse the data flowing from a consumer touchpoint (the phone) and tell all sorts of things about an object’s use. For example, a manufacturer may be able to mine all sorts of data usage stats from an object such as when people are using that object. The manufacturer will have this data on hand and be able to tell what time of day its objects are most being used. Take the humble fridge as an example. This is pretty much theoretical at this stage, but is an example of a value exchange which could very well happen. Say you create a link between your phone and a fridge which has XPE technology on-board. The chip will gain user information from the phone and be able to pass that onto the fridge manufacturer (with permission, of course). Imagine if you will, an in-fridge sensor will be able to detect that you’ve run out of milk (this is actually already happening, believe it or not). Now, with a gateway between the user and fridge enabled by XPE’s technology, imagine what could happen next. Why, the fridge could send a message to your phone that you’re out of milk. That’s a direct commercial link which could be enabled by XPE technology. Of course, that doesn’t begin to touch the sort of data which could be mined on user usage behaviour to inform the next stage of product development. The possibilities are endless here – and XPE is aiming to become the vital link which is making it all happen. We’ve talked about some huge concepts so far, but XPE is starting small. XPE is still in the scale-up phase where it’s trying to prove its chops by doing deals around the world and in several sectors to allow it to demonstrate that its tech works. One of the key sectors it’s targeting in the ramp-up phase is the healthcare sector, which it believes could be a $48.7 billion industry. Instead of just signing a letter of intent or memorandum of understanding with an unrelated party, XPE is taking control of its own destiny and has moved to acquire a healthcare technology company known as JCT Healthcare. 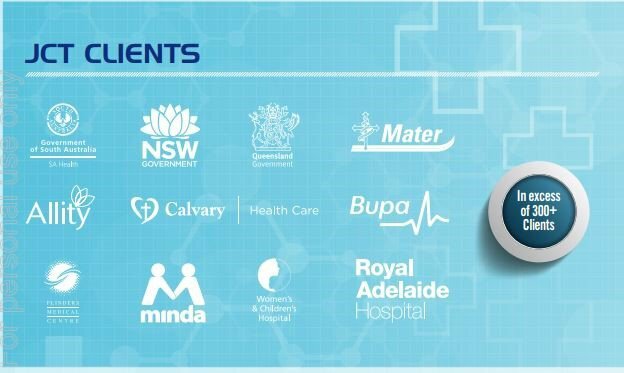 JCT offers ‘communications solutions’ which are tailored to hospitals, aged care, independent living, and disability care. It has developed a suite of products in the ‘nurse call’ space. JCT’s technology is being sold as a way to get nurse attention to a patient quicker – which in a hospital environment can be literally life-saving. For example, an elderly patient can wear a device which can sense whether or not they’ve fallen out of bed during the night. If they’re in that situation, they’re probably not that close to a call nurse button. JCT’s sensor can reportedly send a signal to a nurse’s phone or chosen communication system that the patient has fallen off the bed and needs help immediately. In the old way of doing things, the patient just used to fall off the bed and hoped a nurse doing the rounds happened to be coming by soon. Enter JCT which has in excess of 300 clients. Falling off a bed is just one example though, and there are plenty of things in the space to be explored – and it will all be underpinned by XPE’s technology acting as the bridge between sensor and nurse. Imagine a world, for example, where a nurse will be paged as soon as a patient goes above a certain heart rate threshold. Nurses already work their backsides off, but this technology would allow them to be much more efficient with their time and get to more patients. The possibilities in the space are endless, and the JCT deal is the first step in exploring them. It may also be a pre-cursor to doing more deals in the sector. Normally, with this sort of tech play they’d do a deal with another company to showcase its technology as a proof-of-concept. After a while, it would be able to take the results from the trial to prospective bigger partners and the whole thing would snowball from there. But what if there was a better way? What of instead going through the motions, the tech company just bought into the space on its own terms to create its own snowball effect. It’s skipping the whole ‘bring in a bigger partner’ paradigm and creating a business to generate revenue for shareholders. By taking over unlisted JCT, XPE could in itself become a technology provider for the sector rather than hoping to land a deal with a technology provider. Even if it does end up doing a deal with a bigger fish in the sector, it may have a way to actually generate revenue from its tech trial. It’s a pretty smart play aimed at actually getting shareholders some money instead of faffing around with trials. However, this is still an early-stage tech play, make no mistake, and it still carries all the risks inherent in that – so caution is advised when considering this stock for your portfolio. With a play like this, getting patents registered and in the system is absolutely vital. There’s nothing worse than putting time and money into a product to find a rival has a suspiciously similar product in the works. It avoids this classic Silicon Valley scenario . Luckily then, XPE recently received word that it had been granted a “notice of patent grant right” in China, one of the potentially largest IoT markets on the planet. 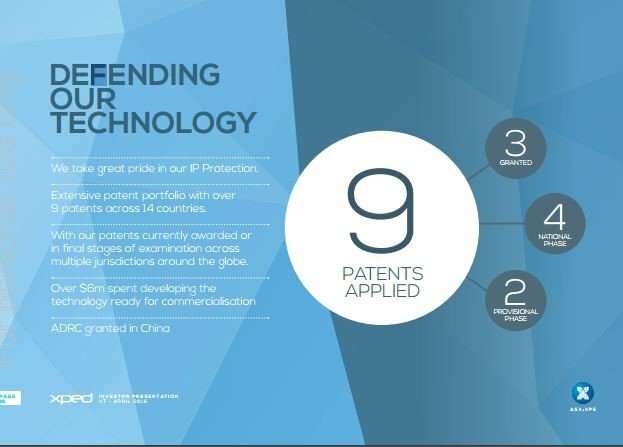 It adds to XPE’s growing list of patent protection. It also gives XPE the confidence to be able to swing deals in China without the fear of having their IP stolen – and it can be defended in both Chinese and international frameworks. Meanwhile, it’s also done a deal with a Singapore-based Vital Xense to explore product development options. Again, it involves XPE taking a direct stake in the company (in fact, a 35% stake), so XPE actually has a chance to raise revenue directly. Vital Xense is building new products such as sensors, related equipment and battery monitoring solutions to be used in data centres. It turns out that data centres, which crunch literally millions of calculations per second are important to keep running – so having a sense of when the battery is getting low is a pretty good thing for the people running those data centres. This deal will see XPE provide its solution to Vital Xense in exchange for that 35% stake – and it could be a sign of things to come. XPE is hoping to commercialise its tech by working with manufacturers to on-board its ADRC chip into their objects, usually for a fee. In this instance though, XPE is setting the base for recurring revenue for shareholders while gaining an opportunity to showcase its tech. Normally an early-stage play would settle for the chance to showcase its tech and worry about revenue later, but it’s a smart play from XPE, and one it also demonstrated with the JCT deal. What’s this we hear about a deal XPE has signed with a mysterious tech giant in the US? XPE has signed a MOU with “US listed tech giant” which services large scale industrial markets. It gives XPE exposure to the industrials markets – meaning that XPE should be able to demonstrate its capability in the tech space (Vital Xense), healthcare (JCT) and now industrial space. Better yet, the identity of the client remains a secret. How is that good, exactly? Well, large companies tend to be very sensitive about companies they’re working with, even in an unofficial capacity. So, there are quite often a slew of non-disclosure agreements are at play until all the Is are dotted and all the Ts crossed. In fact, the bigger the player, the more extensive the NDA agreements, it generally goes. Of course we only know as much as the market does, and we can’t wait to see how this one shakes out. Finally, it’s managed to swing a deal from legacy company Raya Group, the company it reverse takeover’ed into. XPE has managed to offload its stake in an Indonesian geothermal project – offloading potential development cost for a project which is now not in its wheelhouse. Better yet, it managed to grab $US1.3 million out of the deal, which will provide valuable cashflow for the company in its early stages (avoiding shareholder dilution). The thing about XPE which sets it apart from other early stage tech plays (not featured on The Next Tech Stock!) is that they’re thinking about the longer-term. The early work this company is putting in suggests to us that they’re in it for the long-haul. It’s not only setting up the proof-of-concept partnerships it needs to put together in several regions, but also taking a direct stake in the companies it’s partnering with. These partnerships aren’t just about proving up its tech but actually creating long-term value. In a sense, it’s putting its cards on the table by directly investing in these companies, and we like the play. Tonnes of early-stage tech companies do deals with other companies in mutual proof-of-concept deals, but only XPE has the cojones to put its money where its mouth is. We’ll keep our eye on this one, and urge you to do the same.